Disruption to peaceful family relationships brings conflict, change, and growth. The journey of the Anderson family proves God's faithfulness yesterday, today and tomorrow-and even beyond. Was it chance that forced James to slow down and look at his life? Family. Work. Estranged sons and daughters. Was this vicious attack a blessing in disguise? Was it time to retire and was there still time to pursue his lifelong dream? For an entire generation reaching retirement age new challenges surface and new opportunities beckon. 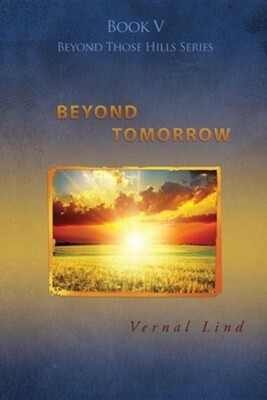 Vernal Lind presents up-to-date and real life situations in his believable characters and story. Through this inviting and refreshing book, he asks the right questions: Where is purpose in the declining years? How does one begin a search to find new purpose and meaning? Not all the answers are easy to come by. Following the ever changing Anderson family gives us all the freedom to ask our own questions and seek answers about getting older. How do we hang on to our core beliefs in a changing and declining culture? I'm the author/artist and I want to review Beyond Tomorrow.